July is here, and that means it’s officially trading season in Major League Baseball. Without a doubt, the best player available is Baltimore Orioles shortstop Manny Machado. For most of the season, it’s been a foregone conclusion that Machado would be dealt this summer. But the time has come for the Orioles to get serious about trading him. Let’s take a closer look at the teams with serious interest in Machado and each team’s chances of landing him via trade. The Brewers are probably better off adding a starting pitcher, but it’s not inconceivable for them to go after Machado. The shortstop position has been a problem for them this season, as Orlando Arcia just got demoted back to the minors. Put Machado in a lineup with Christian Yelich, Eric Thames, Lorenzo Cain, and Travis Shaw and Milwaukee could potentially slug its way to a pennant. The Cardinals won’t need a shortstop when Paul DeJong returns from the DL. But they could rearrange their infield with Machado going to third base. DeJong to also move over to third base. Either way, St. Louis will need some help if they’re going to catch the Cubs and Brewers, and Machado would definitely fit the bill. They are a potential dark horse in the Machado sweepstakes. The Cubs have tried to distance themselves from the Machado trade rumors. However, they match up quite well with the Orioles. Either Addison Russell or Javier Baez would have to be involved in a trade, but that’s not out of the question if the Cubs are serious about making another World Series run. With Machado between Kris Bryant and Anthony Rizzo, the Cubs would become the favorites in the National League. Arizona is a team to watch closely in the Machado trade proceedings. The team’s window to make a push for a championship could be closing, so the Diamondbacks may look to go all-in on the 2018 season by making a move for Machado. The Diamondbacks have gotten little offense from their middle infield this season, and with Machado in their lineup, they could gain separation inside a competitive NL West. The Dodgers will seemingly do anything to chase a World Series, so there’s little doubt they’ll have serious interest in Machado. With Corey Seager out for the season, Machado is the perfect short-term solution. Los Angeles turned things around in June, and adding Machado in July would only add to their momentum. When you factor in the fact that most of the teams interested in Machado are in the National League, the Dodgers will be even more motivated to land Machado so that none of their competitors get him. Philadelphia has emerged as one of the top favorites to land Machado. The likes of J.P. Crawford and Maikel Franco could become trade chips, as could their surplus of young outfielders. 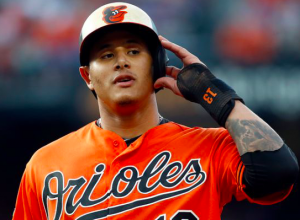 The Phillies figure to be suitors for Machado in free agency this winter, so they may want to trade for him this summer and give themselves a slight edge when Machado hits the open market. More importantly, the Phillies have a chance to win the NL East, especially if they can get better at the trade deadline. Obviously, adding Machado would accomplish that. Even in early July, the market for Machado appears to be well developed. Of course, teams like the Indians, Padres, and Mariners have also been linked with Machado. A major injury could also bring a couple other teams into the conversation. However, teams like the Phillies, Dodgers, and Diamondbacks are the clear favorites at the moment.